Nicki Minaj holds the top spot of the Billboard's Hot 100 Album Chart last week with her repackaged album Pink Friday: Roman Reloaded. In an unlikely statement, the rap princess has bid good bye to her Twitter followers on Sunday after engaging a battle with a fan site Nicki Daily. 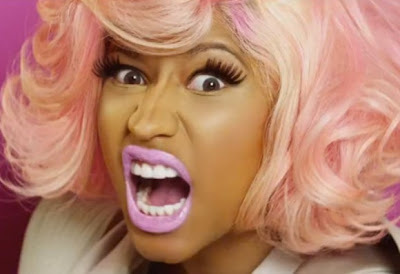 The fan site apparently leaked songs from her Pink Friday: Roman Reloaded album. Before taking down her account, she twitted the message, "Like seriously, its but so much a person can take. Good f*cking bye." Nicki Minaj has 11 million followers and her sophomore album has sold 253,000 copies. If we take into account the illegal downloads, it should have sold more.